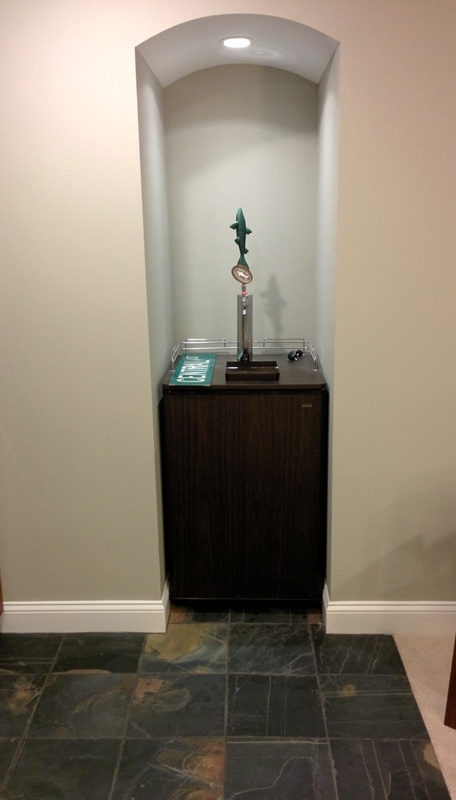 What’s a man cave (ok or any other space in a house) without beer? And if you are talking beer – why tie your self into a bar? What you need is a beer grotto! Obviously if you read my blog you know I love beer. 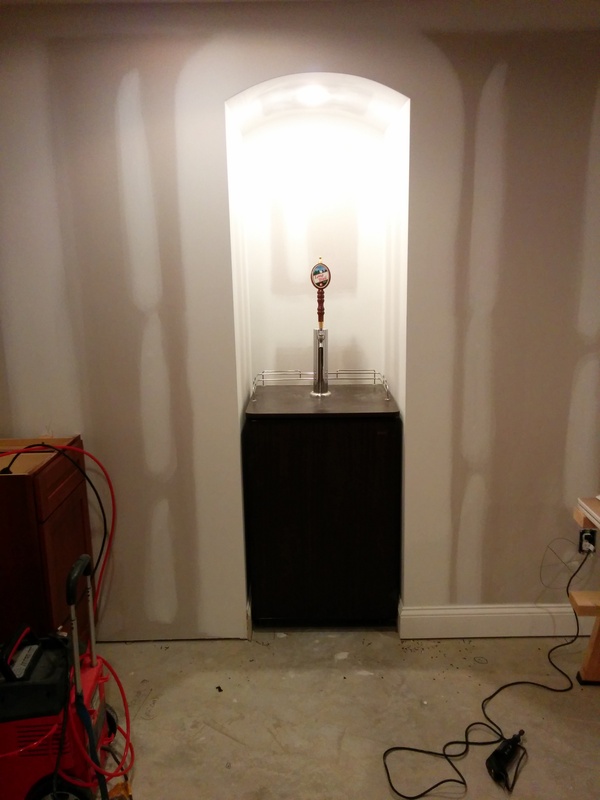 I’ve had a beer “kegerator” for years, but what do you do with it when you now have a finished bar in the basement? 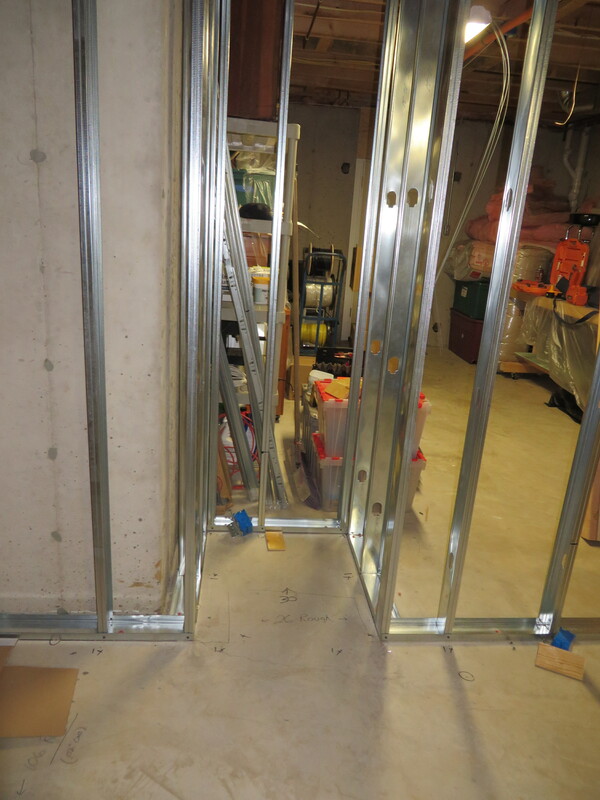 It is difficult to build it into the bar since the refrigerator is not made for an under counter configuration. 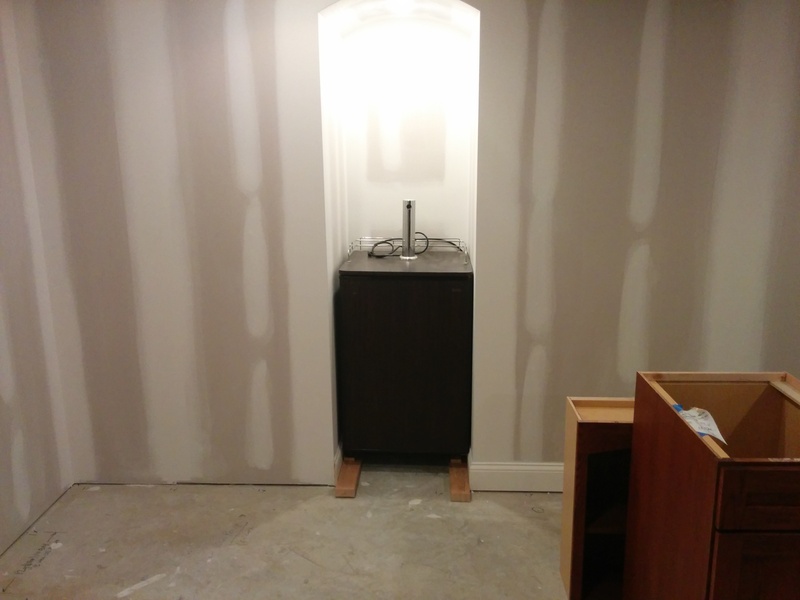 My cabinet designer had a great idea – turn it into a built in unit by making a beer “nook” or “grotto”. Pretty good idea. 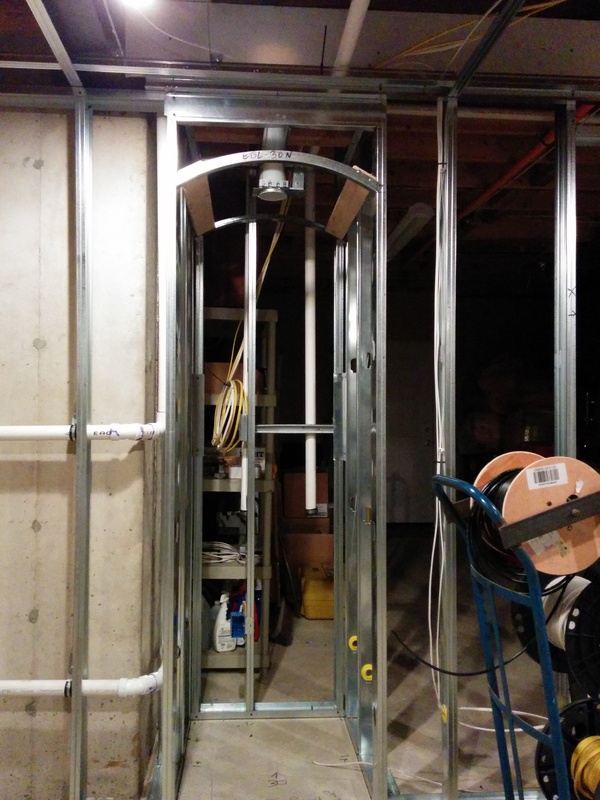 So basically we need a niche to hold a kegerator with a bit of extra room at the back for ventilation. 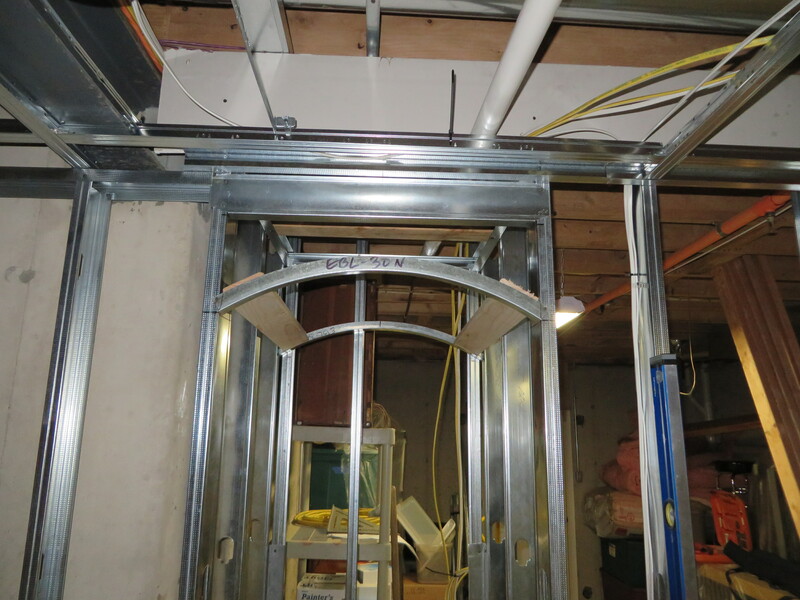 There needs to be a bit of slack side to side to allow the unit to be moved in and out as well. You can see here – the grotto is built into the wall – essentially extending into the unfinished storage area. In the picture to the right you can see this – the main bar is to the left out of the picture. The grotto will be pretty much full height as well. We’ll have a power outlet added to the grotto too of course. 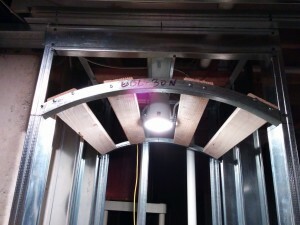 I thought it would be nice to have a barrel ceiling with a small pot light in the top of the grotto. 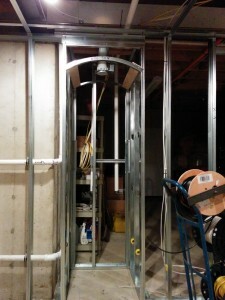 This will make a nice effect – and my contractor has some nice techniques for doing this kind of feature. Then along the walls of the grotto I can hang either beer taps or beer signs that I have. That should look pretty darn cool I think. I’ll have to really work on colors for the grotto. Should be darker than the main room color to give it some good context. I can pick and choose carefully some beer taps and signs that will work well too. Here’s a pic with the electrics hooked up. You can also see the rough ins from the bar running around behind. The light is in and with power added and a few more of the ribs for the barrel ceiling, which you can see in the pic below. The kegging system I have is a Kenmore unit with a TrueTap. It has a single regulator and gas tank. I’m thinking of putting either a splitter value or getting a second tap. I’m also thinking of getting a nitrogen/carbon dioxide gas combination for things like Guinness or Boddington, but that’s going to have to wait a bit. 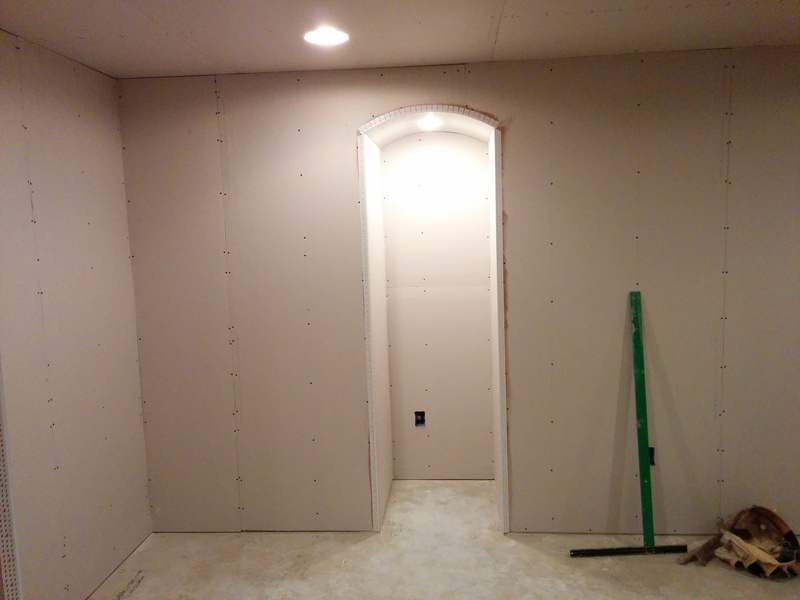 With the basics all taken care of the next step is sheetrock. Here’s a gallery of how this came out for the grotto – pretty slick. I think I need to get a wrought iron gate with a slide lock. That would be super cool. After quite a delay – I’ve got my kegerator fitting into the grotto. I also took the time to replace a few of the lines and got a new tap head since the old one was having some issues.